Cute Happy Boy Eating Burger, Kid Enjoying Eating Of Fast Food Vector Illustration On White Background. Lizenzfrei Nutzbare Vektorgrafiken, Clip Arts, Illustrationen. Image 119081151. 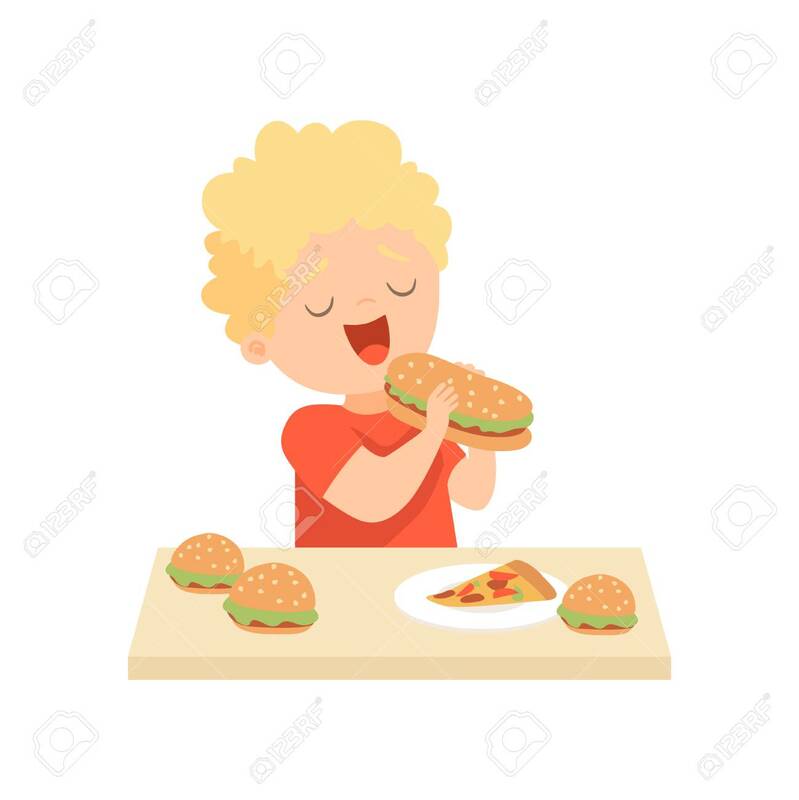 Standard-Bild - Cute Happy Boy Eating Burger, Kid Enjoying Eating of Fast Food Vector Illustration on White Background. Cute Happy Boy Eating Burger, Kid Enjoying Eating of Fast Food Vector Illustration on White Background.